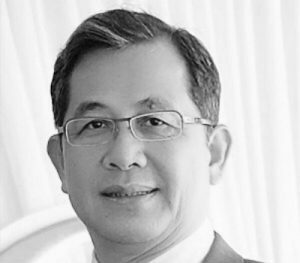 Dr. Supachai Tantikom is a professional and experienced civil engineer with expertise in design and project management. He had been practicing in structural, foundation, and civil engineering design and project management in private sector for over 25 years before joining Bangkok Metropolitan Administration’s management team led by the governor of Bangkok. For 6 years as advisor to the governor, he was assigned by the governor to take responsibility and oversee the infrastructure developments, climate change, sustainability development and green growth. He was then appointed by the governor as Chief Resilience Officer for the City of Bangkok under 100 Resilient Cities program initiated by the Rockefeller Foundation. His role as Chief Resilience Officer is not only developing Bangkok Resilient Strategy but also bringing the strategy into implementation. Bangkok Resilient Strategy launched in February 2016 is composed of three strategic areas in: Increasing quality of life, Reducing risk and increasing adaptation, and Driving a strong and competitive economy. The Strategy offers over 70 initiatives and as of today some of them are being implemented.